Including a selection of new finishes and tonewoods. Jackson keeps up the NAMM pace with a refreshed Pro and X Series. There are a few standout pieces in this offering, such as a brand-new Pro Series CD-24 that’s spec’ed with player-centric appointments, and the fearsome X Series CDX22 model that features an offset V-shape. This guitar is designed for the modern guitar player. It features a mahogany body – with an offset V-shape – as well as a one-piece through-body maple neck. You’ll also find stylish pearloid ghostfin inlays atop the guitar’s 12- to 16-inch compound radius ebony fingerboard. Tone comes by way of a very popular combination: Seymour Duncan JB humbucker at the bridge, and a Seymour Duncan ’59 humbucker at the neck. These pups can produce a range of sounds, including both heavy and smooth tones. Wrapping up its look is a recessed Floyd Rose 1000 Series double-locking tremolo bridge. Available in Gloss Black and Snow White finishes. Retails at £919. The Pro Soloist SL3 is loaded with three Seymour Duncan pickups in a HSS configuration: A TB-6 Distortion pup at the bridge, a Custom Flat Strat SSL-6 RWRP pup at the middle, and a Custom Flat Strat SSL pup at the neck. The former delivers a commanding low-end, while the latter two combine to produce a glassy, powerful bite. The Pro Soloist SL3Q MAH shares similar tonewoods to the model above, with the exception of a quilt maple top and white aesthetic designs. 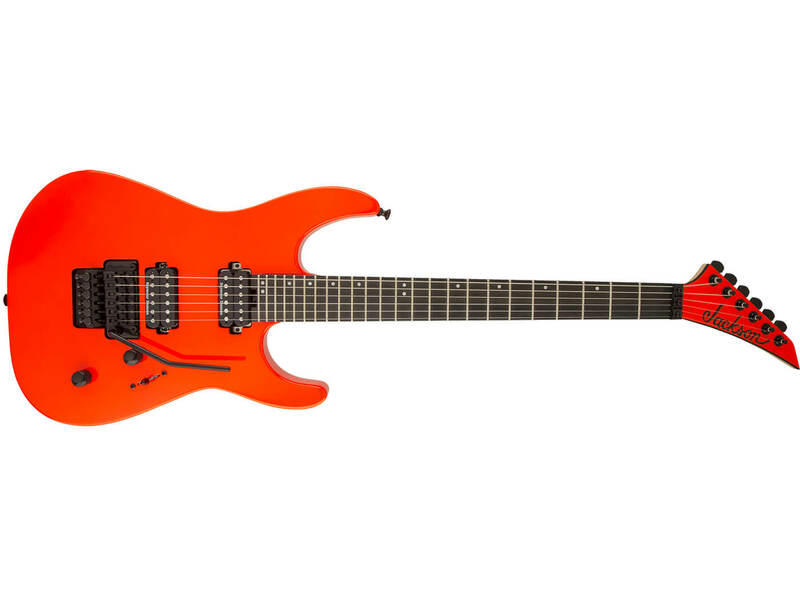 The Pro Soloist SL3 is available in a Satin Orange Blaze finish, and retails at £959. The Pro Soloist SL3Q MAH is available in Chlorine Burst and Dark Amber finishes, and retails at £1,019. This seven-stringed beast is kitted out with features that will appeal to the modern player. It features a resonant mahogany body with a poplar burl top that’s decked out in a stunning Northern Lights finish. Additionally, the guitar’s two Seymour Duncan SH-6 7 humbuckers deliver a balanced tone packed with sterling cleans and searing distortion. The Pro Series Monarkh SCG features a single-cutaway mahogany body that’s paired with an arched maple top. Its tone is derived from a Seymour Duncan JB/ ’59 combo. Available in Gold Member finish. Retails at £759. 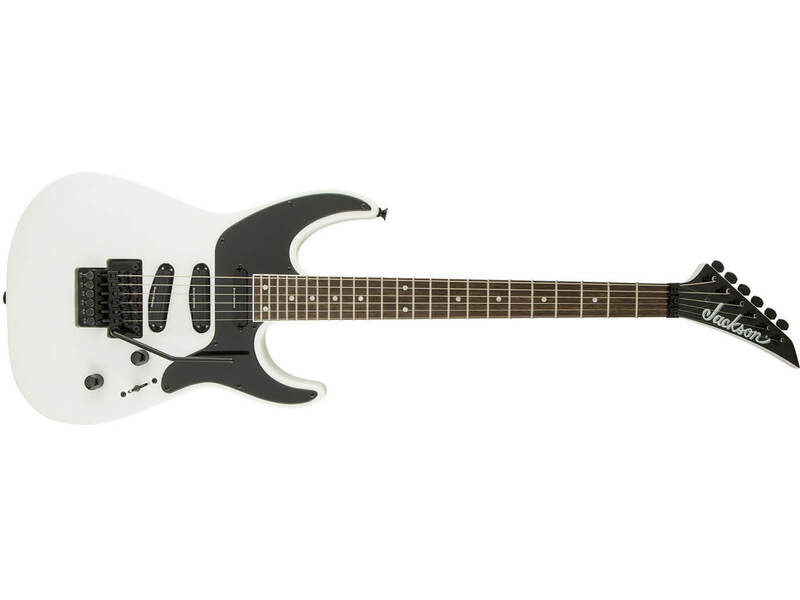 This menacing-looking axe features an offset V-shape body that’s offered in sleek Gloss Black or radiant Snow White finishes. 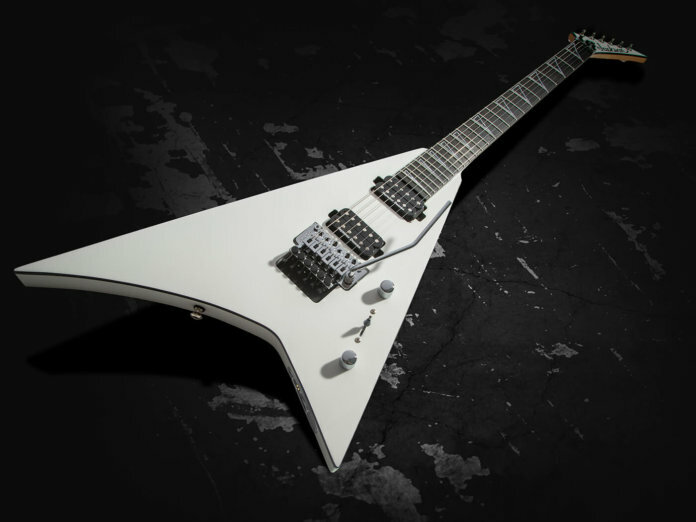 It’s loaded with two high-output Jackson humbuckers that are capable of rich tones, high gains and plenty of sustain. Completing the guitar’s look is a synchronised fulcrum tremolo bridge and a set of sealed die-cast locking tuners. 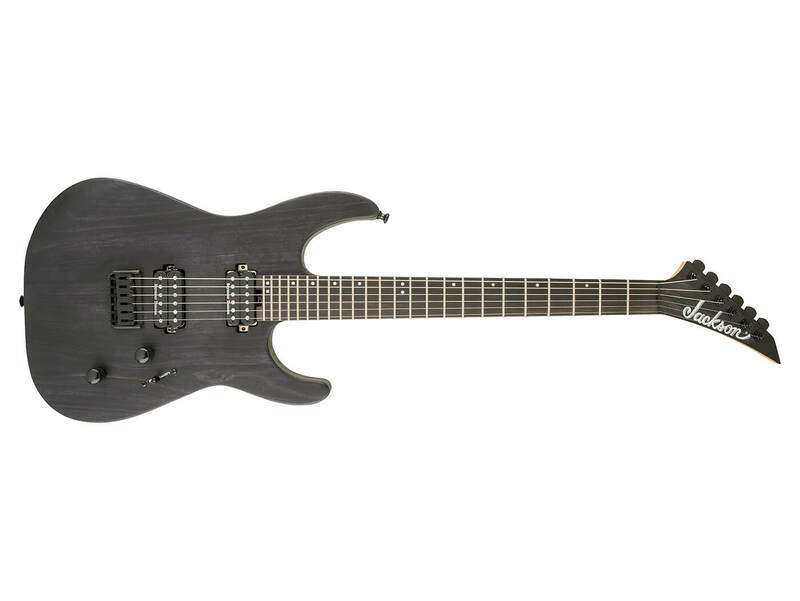 This metal beast features a basswood body as well as a through-body maple neck. It also boasts two Duncan Designed humbuckers – an alnico HB-103N at the neck, and a high-output ceramic HB-103B at the bridge – that are governed by a master volume knob and a tone knob. To wrap up the look, the model is offered in two refreshed finishes: Green Crackle and Orange Crackle. The Pro Series DK2 HT Ash, DK2 HT MAH, and Dinky DK2 retail at £829 each. The Pro Series DK2Q, Soloist SL2M, and SL2Q MAH retail at £879, £919, and £979, respectively. 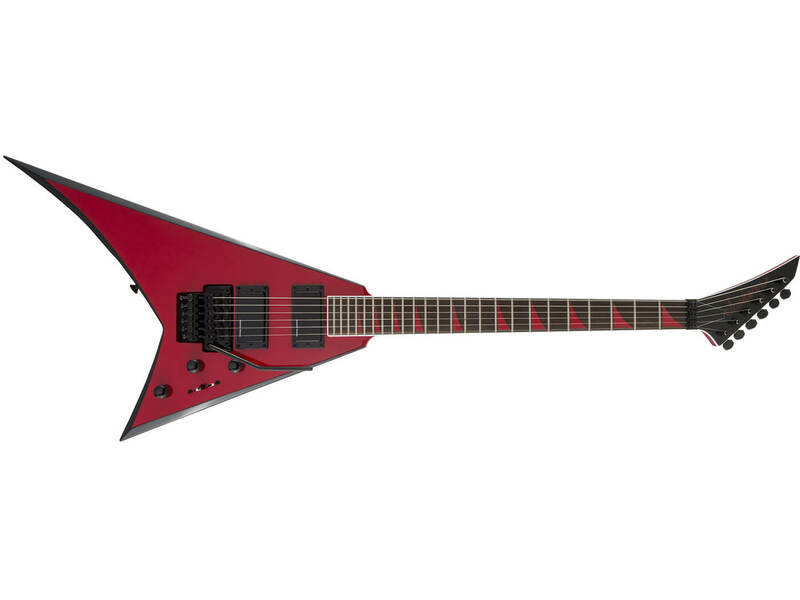 The X Series Rhoads RRX24 and Soloist SL4X retail at £739 and £609, respectively.